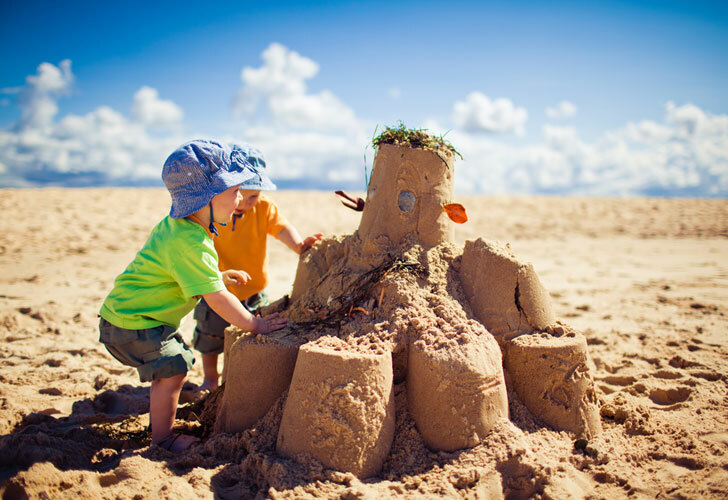 Finding eco-friendly outdoor toys can be a daunting task, especially toys that are safe to play with at the pool or beach. Luckily there are some amazing non-toxic sustainable brands that have designed some fun-tastic toys for all ages. Don't miss our top 10 eco-friendly summer toys that your kids will love playing with the whole year. The Morgan Cycle Junior Wheelbarrow is perfect for your little gardener. The Wheelbarrow has a stamped steel tray and base for durability, genuine wooden handles, and a oversized plastic wheel. All of Morgan Cycle’s products are made with non-toxic materials and are made in the U.S.A. 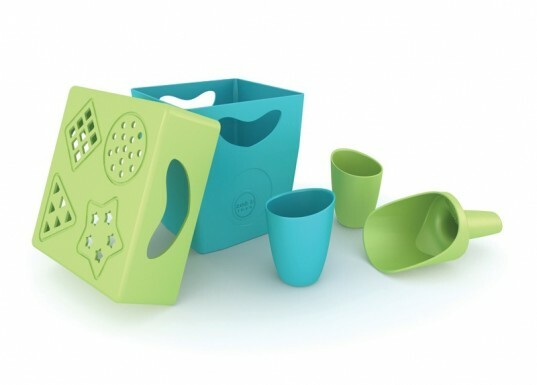 The Green Toys Sand Play Set is made entirely out of recycled milk jugs here in the U.S.A. 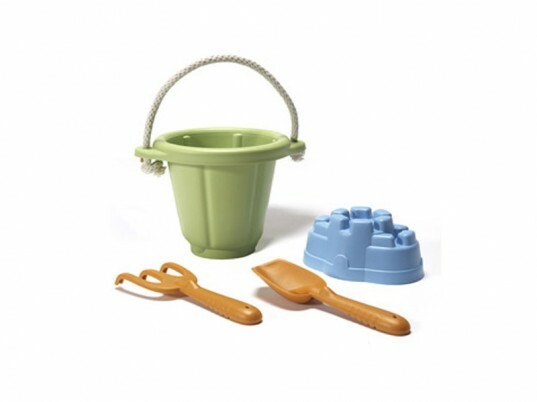 The adorable set, available in pink, blue, or green, comes with a bucket, shovel, rake, and sandcastle mold. The set is great for taking to the beach, sandboxes, and even just playing in the dirt or water. Silk dress ups are the perfect alternative to energy consuming plastic costumes. Sarah’s Silks makes gorgeous dress ups for both boys and girls. They also make sustainable playsilks, canopies, blankets, streamers, wands, parachutes, toys, and more! 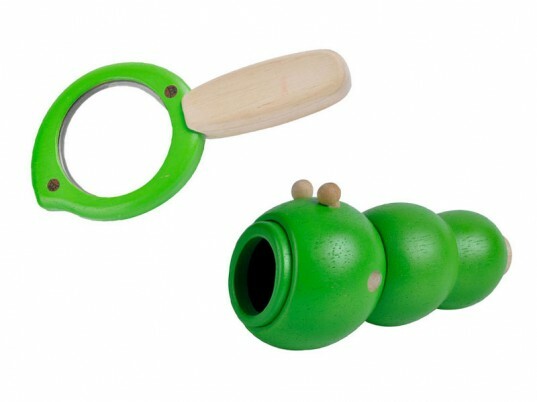 The PlanToys Caterpillar Telescope and Leaf Magnifier are great toys for getting up close and personal with nature. Kids can scope out bugs, see a blade of grass magnified, and even go on nature hunts with these fully functional toys. The telescope and magnifier are made out of eco-friendly rubberwood and colored with non-toxic dyes. The BeginAgain Bathtub Ball Shark Tank set is perfect for water tables, pools, bathtubs, the beach and more! The heavy duty natural rubber set comes with a shark tank, hero diver, rubber octopus, and 2 shark characters. All of the figures fit into the shark tank, so it’s easy to take with you. The Wonderworld Smart Balance Bike build’s your child’s confidence while they learn how to balance and ride a bike without the pedals. 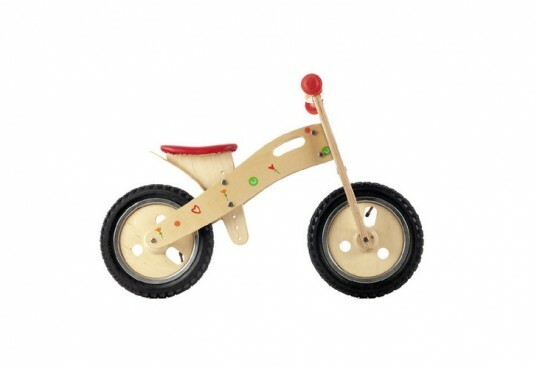 The Smart Balance Bike is made with eco-friendly wood, formaldehyde free glues, non-toxic paints and lacquers, and rubber tires and handlebars. Wonderworld makes 9 different style balance bikes. 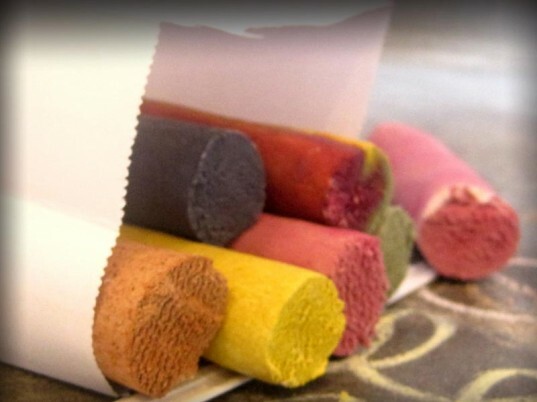 Wee Can Too Edible Vegan Sidewalk Chalk is loads of fun for children of all ages. The chalk is made with organic food based ingredients including beets, spinach and blueberries. It contains no wheat, sugar or preservatives. The chalk is available in a set of five colors: green, yellow, orange, pink and purple. Sprig toys are made out of Sprigwood which is a composite of reclaimed plastic and recycled wood. This cute Dolphin Explorer Set can float and is fun to take to the pool, beach, and especially to the bathtub. 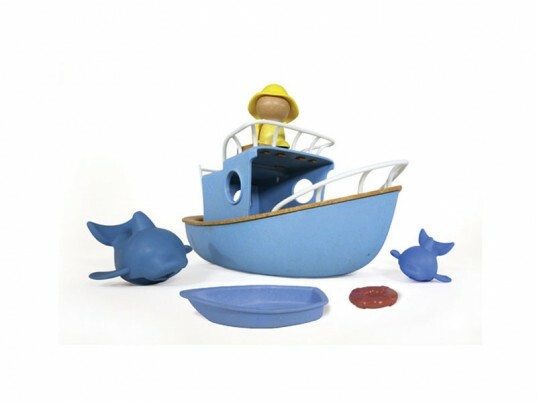 The set comes with a explorer boat, a figurine, rescue boat, and 2 dolphins. The Zoe b Organc Fantastic Anti-plastic Beach Toys are made out of a corn-based bioplastic that is free from BPAs, Phthalates, and PVC and is fully biodegradable. The 5 piece set comes with a bucket, sifter/lid, shovel, and 2 cups. 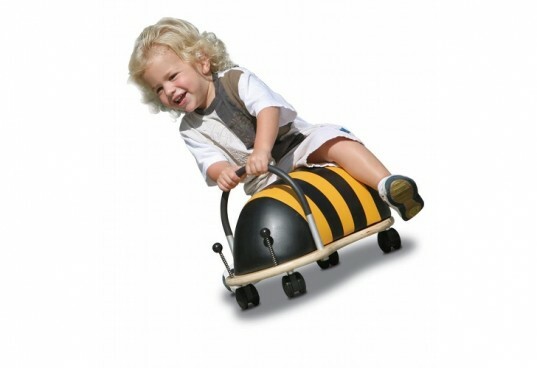 The Prince Lionheart Wheely Bee is a fun gross motor skills ride on toy that your child will love riding around the house and outside on smooth surfaces. Made out of renewable plantation timber, stainless steel, and a PVC free PU cover, the bug is completely non-toxic. You can get the wheely bee in small or large and there are 6 different animals to choose from. The Morgan Cycle Junior Wheelbarrow is perfect for your little gardener. 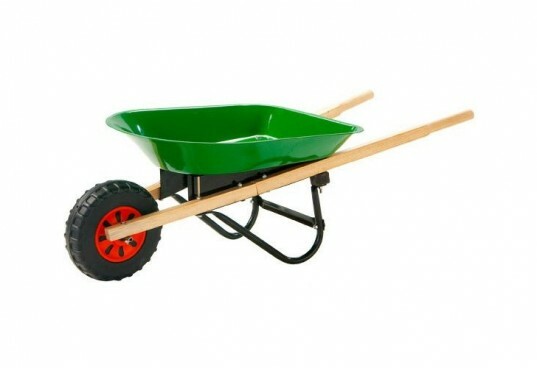 The Wheelbarrow has a stamped steel tray and base for durability, genuine wooden handles, and a oversized plastic wheel. All of Morgan Cycle's products are made with non-toxic materials and are made in the U.S.A. Silk dress ups are the perfect alternative to energy consuming plastic costumes. 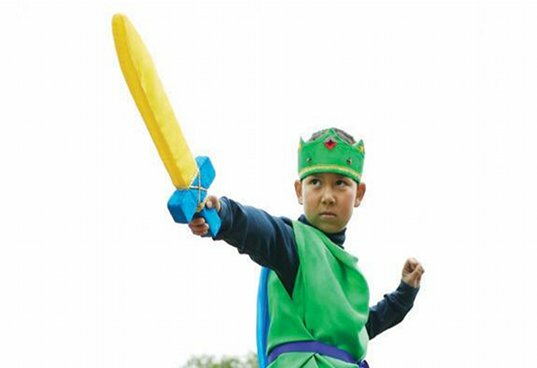 Sarah's Silks makes gorgeous dress ups for both boys and girls. They also make sustainable playsilks, canopies, blankets, streamers, wands, parachutes, toys, and more! The BeginAgain Bathtub Ball Shark Tank set is perfect for water tables, pools, bathtubs, the beach and more! 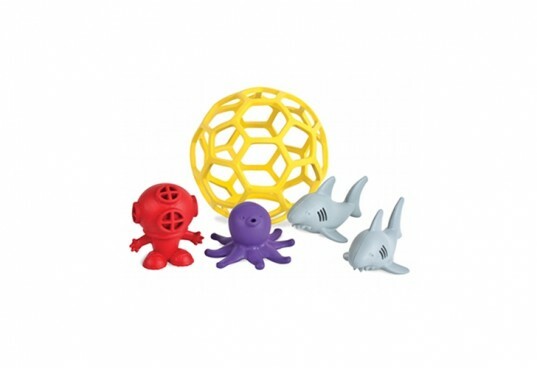 The heavy duty natural rubber set comes with a shark tank, hero diver, rubber octopus, and 2 shark characters. All of the figures fit into the shark tank, so it's easy to take with you. The Smart Gear Wonderworld Smart Balance Bike build's your child's confidence while they learn how to balance and ride a bike without the pedals. The Smart Balance Bike is made with eco-friendly wood, formaldehyde free glues, non-toxic paints and lacquers, and rubber tires and handlebars. Wonderworld makes 9 different style balance bikes.